You are here: Home / Baraminology / The Amazing Killdeer: Designed for Deception, a Good Creation, or Both? The Amazing Killdeer: Designed for Deception, a Good Creation, or Both? Birds, like all organisms, employ many strategies to ensure that their offspring will survive, thereby allowing the continued existence of the species. Some birds produce elaborate nests high in trees, on rocky ledges or even inside caves to protect them from ground-dwelling predators. Others, like penguins and many shorebirds, nest together, overwhelming predators by sheer numbers. Some birds don’t make nests at all but use abandoned nests or nests that they actively steal from other species. Some simply lay their eggs on bare rock or branch, carefully balancing them in place. At the extreme end of the spectrum of reproductive strategies are species that specialize in a practice known as brood parasitism. These species deposit eggs inside the nests of other species. The intruders’ eggs hatch, after which the hatchlings sometimes push the host eggs or chicks out of the nest or killing the other hatchlings with their sharp beaks, after which the foster parents raise the parasite as their own chick. Previously, I shared observations from the life cycle of the killdeer which is a species of shorebird. This species spends little time preparing a nest, but that doesn’t mean that it doesn’t care about its young or is ill-adapted to preserving its species. We saw that killdeer employ biparental brooding responsibilities—caring for the eggs—and continued protection of the offspring. All the traits of killdeer that I observed are “good” for the survival of killdeer. But the strategies this bird, and others, employ should make the curious wonder: how did the killdeer obtain its odd broken-wing display, its ability to produce eggs that blend in with the environment or its calls that can alert its young offspring to danger? How do tiny fledglings, running around just hours after climbing out of their eggshell cocoon, know to stop and stay still when they hear a particular cry from a parent? For Christians, myself included, there is a “simple” answer: God made them that way. For example, some Christians have inferred from the account of the fall of Adam in Genesis 3 and Paul’s reference to Adam in Romans that there was no death of any animals with nephesh (e.g. at least mammals, reptiles, birds and amphibians) prior to the fall. If this is true, then the animals of the pre-fall world—the prelapsarian condition—would have been immortal and, it would appear, in no need of elaborate defense mechanisms against predators since predators would not have existed. This raises some fundamental questions about the original condition of creation to which the response “God made them that way” seems like a coping mechanism rather than a real answer. God does not prohibit us from learning about his creation and applying that knowledge, in fact, quite the opposite. Our understanding His creation brings Him greater glory. For Christians who insist that the scriptures teach of an original perfect paradise with no death, what is observed in nature today creates a quandary. The present state of organisms which have exquisite features that help them avoid being killed or help them to kill other organisms (e.g. birds that lay eggs in a foreign nests which kill the host eggs) raises the question: were organisms originally designed for deception, later re-created for a fallen world, or something else? Previously (Comparing theistic models of biological origins) I suggested that Young-Earth Creationists take one of three approaches to explain the present appearance and behavior of animals and the ostrich in particular. We can apply the same approaches to the origin of the killdeer and the question of their biology clearly being adapted for deception. YEC-1 (Classical Creationist model) The killdeer we see today is effectively the same species that God made on the 5th day of creation. Characteristics of the killdeer we currently perceive as adaptations to a fallen world—such as camouflage eggs and broken-wing displays—are traits that may have served some other purpose in the prelapsarian (pre-fall) world or possibly had no initial function at all. God, in his wisdom, created killdeer with their peculiar behavior knowing ahead of time—predestining them—that each trait would serve a new purpose in the postlapsarian world. Example: some YECs argue that T. rex teeth were originally used to shred leaves only, but after sin entered the world they were used to tear flesh. The trait (sharp teeth) didn’t change, only its function changed. YEC-2 (Moderate change model) God created the first killdeer but it behaved, and maybe looked, different in its original state than it does now. Modern physical and behavioral characteristics of killdeer are adaptive responses to a corrupted world resulting from sin. God, by design, pre-loaded genetic changeability into the original plover bird “kind” such that it experienced moderate changes in physical features and behavior after Adam sinned. This possibly resulted in what we recognize today as the more than thirty different species of plovers, of which the killdeer is one. Example: T. rex may have originally had smaller teeth used for grinding plant material but after Adam sinned, genes that had not been used before were triggered to produce larger and sharper teeth in subsequent generations of T. rex. YEC-3 (Hyper-evolution and/or de-evolution model) God created the ancestor of the modern killdeer but it would not be recognizable as the bird we see today. That ancestor subsequently “devolved” due to Adam’s sin and/or may have been pre-loaded with genetic programs for future adaptations to become not only the killdeer we see today but also 350 other species of shorebirds. Example: A small plant-eating theropod-type animal was the original created kind which then changed into dozens of different species of theropods. Many of these species grew much larger and became carnivores, expressing larger teeth and stronger jaws due to previously-hidden genetic information and degraded genes that were no longer serving their original “good” purposes. Adherents of each of these models affirm that God made the killdeer we observe today. But, you can see that even among young-earth creationists there is a diversity of opinion with respect to how God made the killdeer. There is a stark difference between God having made a basic shorebird like a seagull and then having shaped that ancestral gull into a killdeer using, for instance, mechanisms such as natural selection and mutation and God making a bird with the appearance and behavior of a killdeer directly through special creation. Most YECs have moved away from the historical YEC-1 model above. Modern science and a strict adherence to a recent, global flood and universal ark have been strong motivators for this change. 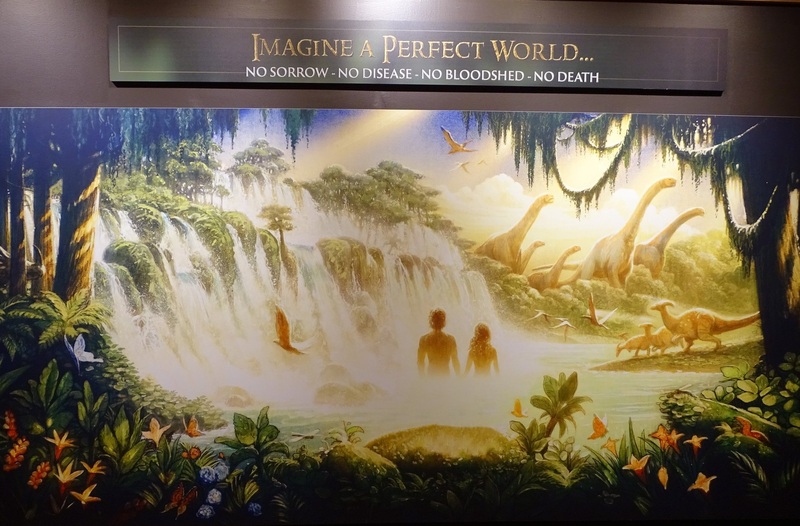 Most modern YECs believe that Noah’s ark did not preserve representatives of every species of land vertebrate, but rather the ark only preserved representatives of each “kind” of animal. For example, a kind might be an animal that evolved into all felines or all canines, and in the case of the killdeer, all 350 living species of shorebirds. 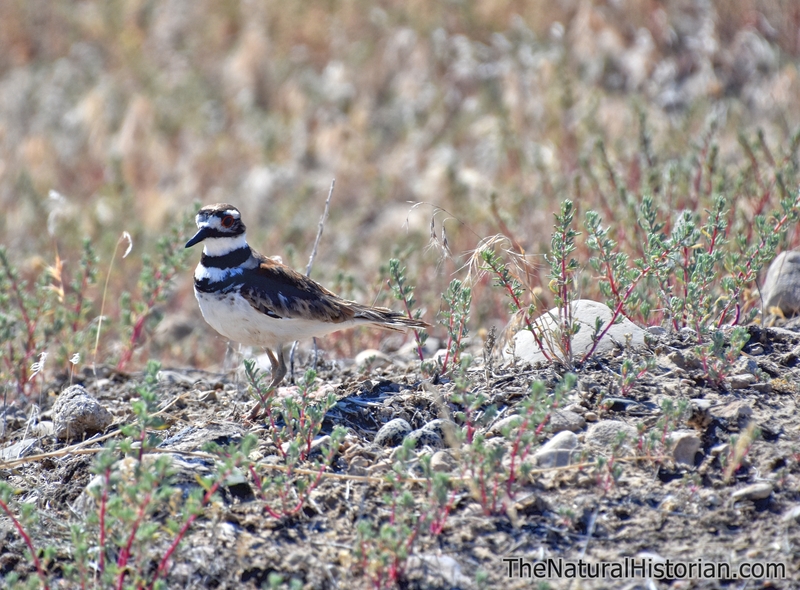 Killdeer: The end product of massive post-flood adaptive evolution a few thousand years ago? Like all other animals on earth—except humans—YECs believe that the killdeer—as a recognizably distinct species—did not appear until after the great genetic bottleneck that was Noah’s ark (see: The Great Genetic Bottleneck that Contradicts Ken Ham’s Radical Accelerated Diversity Hypothesis). Ken Ham and Answers in Genesis believe that the birds modern taxonomists call shorebirds are members of a single “kind”. 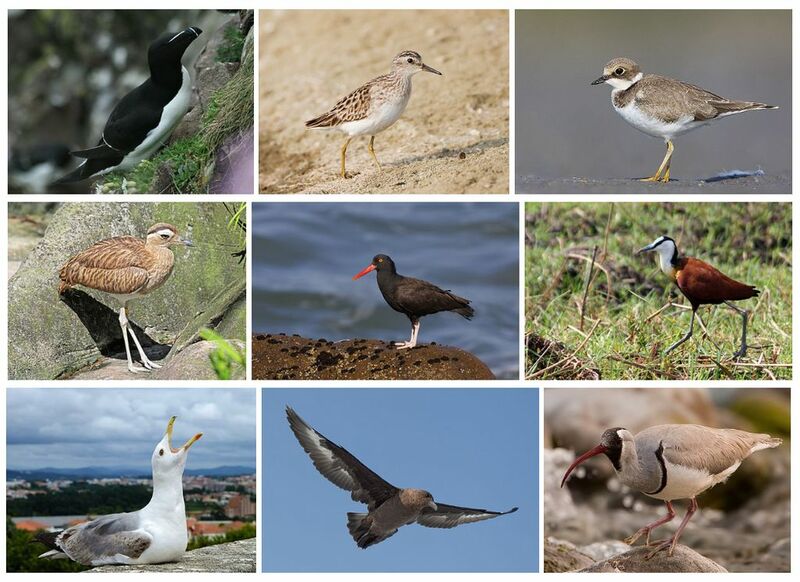 This kind is includes 350 living species of birds which include puffins, gulls (e.g. seagulls), auks, waders, sandpipers, terns and plovers, of which the killdeer is but one species of thirty. The fantastic amounts of speciation and character evolution that are demonstrated among these 350 species illustrate the radical nature of the YEC-3 model. If the YECs of Answers in Genesis are correct, all the behavioral or physical differences that these species display must have been hidden in genetic code inside the original shorebird that God made, on Day 5 of the creation week, then preserved, while not being expressed, in a single pair of birds 1500 years later on Noah’s ark. Following their departure from the ark, the offspring of those birds finally expressed these incredible variations and diverged into 350 genetically, morphologically and behaviorally-distinct species. Reorienting ourselves back to the original concern. The killdeer is an incredible animal with so many amazing adaptations for survival in this world. Many Christians’ initial response to these features is that they could not have evolved but, instead, must have been designed to do what they do. How could chance mutations and natural selection produce the eggs’ design, the instincts of the hatchlings etc.. Intuitively, it doesn’t seem possible that killdeer could have come from a common ancestor that does not share the same design characteristics. And yet, shared common ancestry of a killdeer, seagull, and sandpiper is exactly what the YEC-2 and YEC-3 models propose has happened. 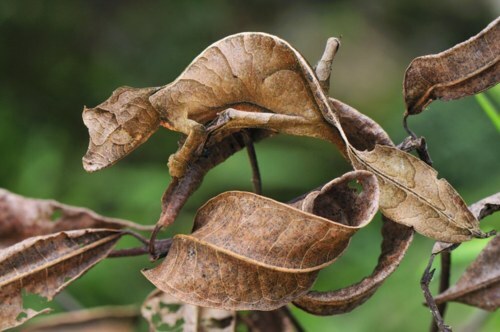 Consider this leaf-tailed gecko from Madagascar. Its design is amazing but its camouflage is clearly intended to deceive (either for protection or as an aid in attack—or both). You could ask the same question as above, did God make this gecko as it is today or did He use many intermediate animals that didn’t look like this one to form this creature? Juxtaposed to the intuition that the killdeer could not have evolved such intricate design, we find another reaction to the same design. Ken Ham and many YECs observe the special behaviors and traits of organisms such as killdeer and rather than being amazed, they instead see the ugly stain of sin. Ken Ham blames Adam’s sin for the way these spiders, birds, and geckos look and behave. In their conception of a perfect paradise that Adam ruined, these animals would have had no need for any of these traits. Adam’s sin, they believe, simultaneously released hidden instructions that God “programmed” into them from the beginning and caused them to “devolve” through mutations to form these traits which allow them to operate in a sin-filled environment, even though the traits are absolutely essential for the survival of these species! Thus far we have only explored some possible responses of young-earth (literal-day) creationists to the question of the origin of the killdeer. Who else might affirm that God made the killdeer the way they are but have a different perspective on how the killdeer we see today go here? Let’s briefly summarize a few other theistic models of origins. Evolutionary Creationism (EC): The EC position is that killdeer are related by common ancestry to other shorebirds. At some point, probably more than 100,000 years ago, the killdeer likely diverged via mechanisms described by evolutionary biologists as natural selection, genetic drift and mutations to become a unique species. God did not, though was free to do so, act to suspend his normal providence or means of action in the world to create the killdeer but used those mechanisms to form this new species. As we said before, proponents of each of these models can rightfully claim that God made the killdeer the way that we see them today. But they each have a different idea of how God accomplished the task of bringing the killdeer into existence. The ID view is similar to the YEC-1 and YEC-2 position differing only substantively with respect to when the killdeer came into existence. The former believe God made them 100 thousand or more years ago while the latter believes that God made them either 6500 years ago during the creation week or possible after Noah’s flood 4350 years ago. The EC, OEC and YEC-2 and 3 view both agree that killdeer formed from a common ancestor with another shorebird. They also agree to a great extent on the mechanisms of that change (i.e. no supernatural intervention from God but rather normal means of change observable in populations today) though they disagree about the pace of that change (fast vs. slow speciation). The OEC and YEC-3 views prohibit the larger groups of species (kinds) to have common ancestors while ECs believe that most, and probably all, species share a common ancestor. God made killdeer. But how? God is very clear, not just in Genesis but—as we have seen—also in Job, that He is the author, upholder and sustainer of all creation. However, in our modern scientific-minded age we may be disappointed that God doesn’t explicitly tell us the mechanics of how it all came together. 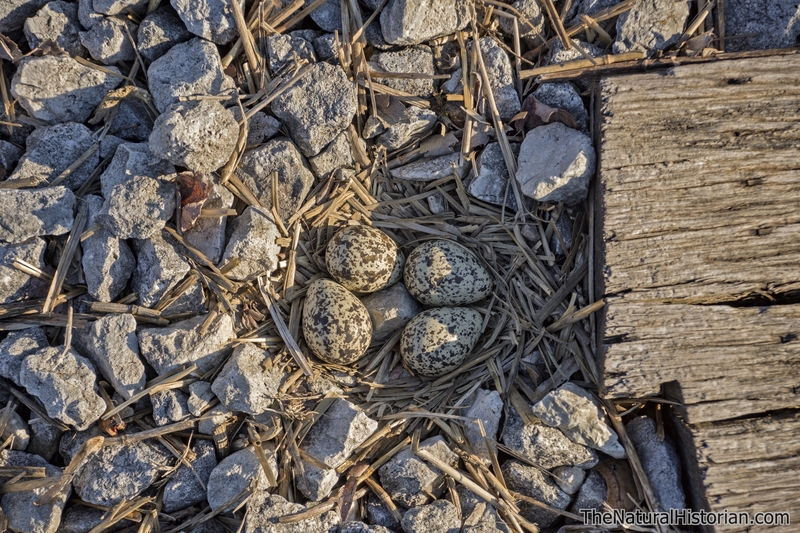 When we ask why the killdeer lays camouflaged eggs, we begin to wonder: was this bird part of His original plan? Was the killdeer a part of a “perfect” creation or a back-up plan when sin entered the world? For the most part, these are questions that young-earth advocates are left to face since they presuppose a perfect paradise which has been utterly corrupted. Other theistic models, OEC and EC in particular, propose God created the killdeer and their relatives long before man existed. In their view the world has operated in a similar fashion that observed today. The creation has not been radically altered by Adam’s transgression though Adam and his descendants relationship to creation and to God have been radically altered. OEC and EC proponents would say that the scriptures paint a picture of a broken relationship but not a world lacking goodness. Furthermore the scriptures never describe the Gods’ creation before sin as a utopia where nothing dies. Rather, creation is portrayed as a world that functions and works according to God’s plan. Throughout the scriptures we find the authors, under the inspiration of God, describing the “good” creation. The features that some Christian are inclined to think of as resulting from sin (carnivory, competition for resources etc.) are described as God’s provisioning of his good creation. All creatures have traits that provide them with the capacity to produce more of their kind and survive. God’s original creation is never described as a utopia where nothing dies but rather a world that works according to His purposes. Where in the scriptures does God dictate or the authors expound on the behaviors or features of animals as anything less than good? Species are never referred to as immoral, or a devolved version of a formerly perfect organism. They are held up as marvels of God’s goodness! Read Psalm 104 and see if you think that the Psalmist is suggesting that the world is anything but what God intended it to be and that He thinks is good. In our series of posts on the ostrich, (Consider the Ostrich: Job 39 and God’s Commentary on His Creation, Theistic Models of Biological Origins and The Prelapsarian Ostrich: Paradise Lost or Portrait of a Good Creation?) we saw that God and the author of Job clearly viewed the ostrich as God’s handiwork and there is no hint that Adam’s sin contributed to its lack of flight, its lack of attention for its eggs, and adaptations to presumably imperfect desert environments. A good creation isn’t a world in which every animal is as cuddly as a puppy and every plant has a fragrant colorful flowers that never stop blooming. The world can be good even if it is not safe. The death of an ant is not an evil event. It provides for the continuation of other life. It is not disrupting God’s plan—it is part of it. “Natural selection cannot possibly produce any modification in any one species exclusively for the good of another species; though throughout nature one species incessantly takes advantage of, and profits by, the structure of another. But natural selection can and does often produce structures for the direct injury of other species, as we see in the fang of the adder, and in the ovipositor of the ichneumon, by which its eggs are deposited in the living bodies of other insects. If it could be proved that any part of the structure of any one species had been formed for the exclusive good of another species, it would annihilate my theory, for such could not have been produced through natural selection. Although many statements may be found in works on natural history to this effect, I cannot find even one which seems to me of any weight. The fact that each population of organisms is suited to its own survival only makes sense in the light of evolution. Else, as you’ve noted earlier, there would be no reason for any adaptation at all and thus, no different forms other than at the whim of God (which, indeed, is often the reason given by anti-evolution creationists when asked why one organism/trait or another exists).